Costa Del Sol is situated off the ECP, off Upper East Coast Road. It comprises of seven towers, each at 30 storey high. Each unit is built to cater to the panoramic views of the sea across the complex. Expect to see a undisturbed, panoramic view of the sea if you live above the 12th storey. Living at Costa Del Sol would also mean you would enjoy its strategic location and stunning views, but its wide array of facilities, beautiful architectural features, quality interior finishes and spatial living. Very well maintained condo 8mins from airport without traffic lights ! Direct access to main highway to Changi and also direct highway from CBD to Costa without traffic junctions ! 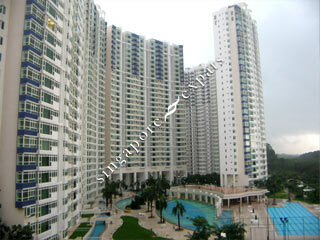 One and only in Singapore also with direct underground walkway to the beach from poolside gate ! Absolutely awesome buying Costa which comes complete with THE BEACH , EAST COAST PARK AND ECP EXPRESSWAY ! Beautiful, full of facilities, convenient. Nice place for expat family with children. Beautiful facilities and units ideal for families. not all that glistens is gold is the saying and this applies to the Costa del sol, on reflection it looks a nice place to stay but when you really look around you will start to find fault, yes i know it takes all sorts and people do complain but i say it as i see it! i am from europe just so you know. ok so in the evening you wish too go down by the pool to relax after a hard hot days work and you are faced with food scattered on the tables and floor where people obviously do not clean up after them, and lets face it we live in singapore so the slightest rubbish you will notice!! the bins around the pool have a tendency to be full at night as well, why the mangement cannot add someone to there staff to address this problem i do not know after all they do have at least 4 security guards on at all times in one of the safest counties in the world!!! the place itself when you do start looking is getting tired now and a bit more groundwork would not go a miss. the management seem more interseted in your pet and what you do with it than care about you here! i would now say the costa del sol is taken up by at least 60% indian which is not a problem in itself apart from the rudeness and the odors at dinner time!! ok not all negative here though, the shop is fantastic with great staff and always a smile to great you, kumar who cleans your car every night for 60 dollars does a great job, the transport links into the city are good. Overall i would of given the costa del sol 7out of 10 2 years ago, now i would give it a 3-4 out of ten!! management maybe to blame for some but the residence mostly , if any one from the costas management reads this please please concentrate on the dirtiness of the costa before its too late!! !